The first production by Lyric Opera Ireland at the Gaiety Theatre. Aida transports us to the land of Pharaohs and Kings and the wonders of ancient Eygpt. 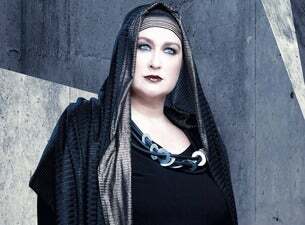 Acclaimed Canadian soprano Yannick Muriel Noah plays the enslaved Aida, caught in a love triangle with the heroic Radamès, played by Michael Wade Lee and the proud and imperious Amneris, sung by Imelda Drumm. Conflict and passion collide against a backdrop of a majestic land in turmoil. Verdi's music exquisitely conjours up the rolling Nile, the arid heat of the desert and the longing pain of secret love. This will be a feast of Verdian music, with the RTÉ Concert Orchestra and an outstanding Irish and International cast.